Pure New Wool Mens Chunky Cardigan. Sizes M-XXL. 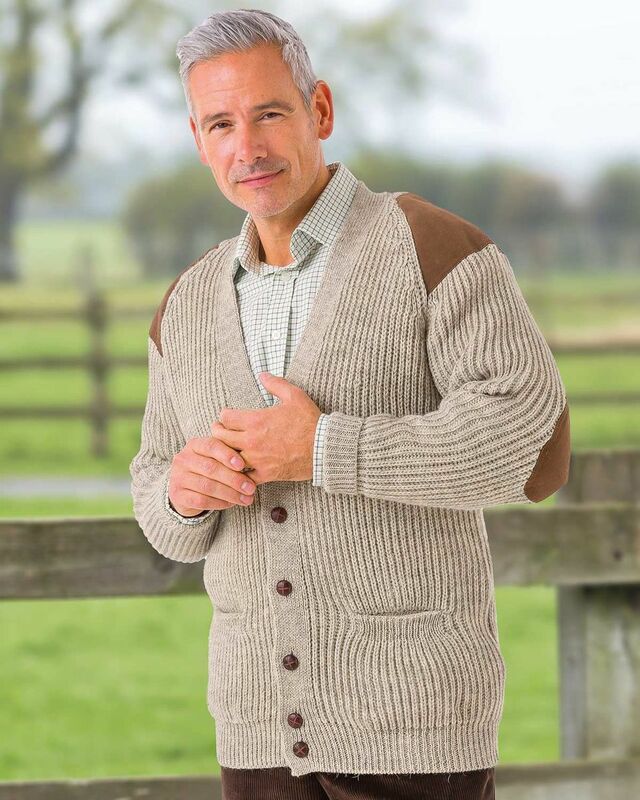 Hand Wash.
Chunky Knit, Raglan Sleeve Style With Co-ordinating Suede Shoulder And Elbow Patches. Mock Leather, Football Buttons And Front Patch Pockets.